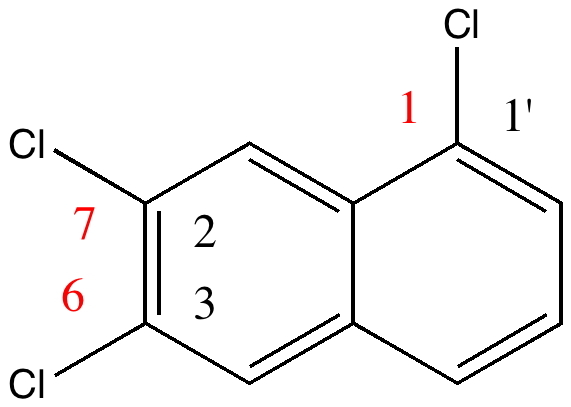 Can a cyclobutadiene and carbon dioxide co-exist in a calixarene cavity? In 1890, chemists had to work hard to find out what the structures of their molecules were, given they had no access to the plethora of modern techniques we are used to in 2010. 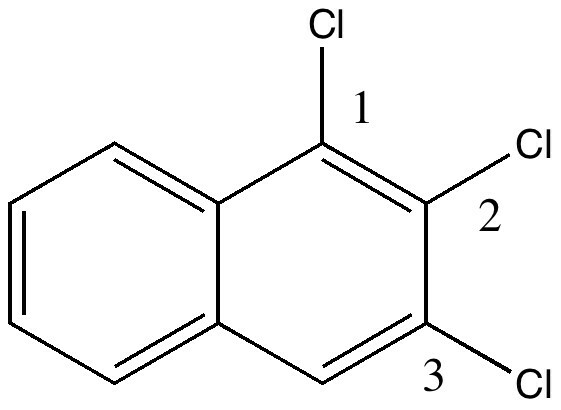 For example, how could they be sure what the structure of naphthalene was? Well, two such chemists, William Henry Armstrong (1847-1937) and his student William Palmer Wynne (1861-1950; I might note that despite working with toxic chemicals for years, both made it to the ripe old age of ~90!) set out on an epic 11-year journey to synthesize all possible mono, di, tri and tetra-substituted naphthalenes. Tabulating how many isomers they could make (we will call them AW here) would establish beyond doubt the basic connectivity of the naphthalene ring system. This was in fact very important, since many industrial dyes were based on this ring system, and patents depended on getting it correct! Amazingly, their collection of naphthalenes survives to this day. With the passage of 120 years, we can go back and check their assignments. The catalogued collection (located at Imperial College) comprises 263 specimens. 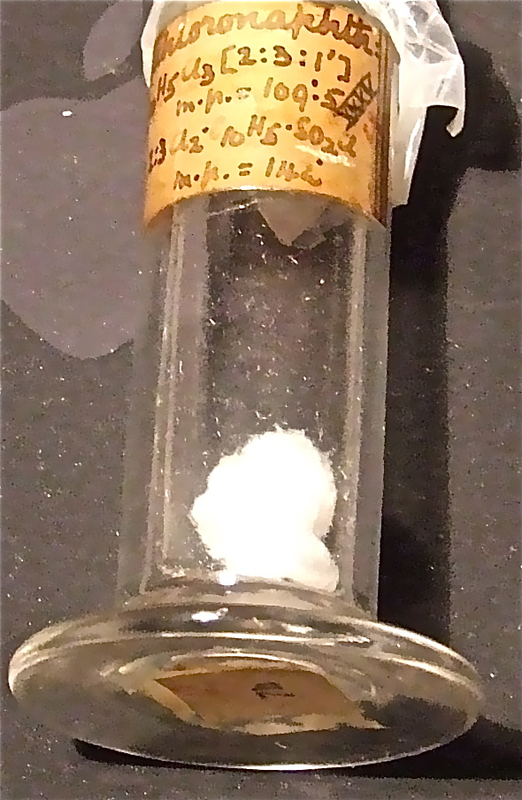 Here the focus is on just one, specimen number number 22, which bears an original label of trichloronaphthalene [2:3:1] and for which was claimed a melting point of 109.5°C. What caught our attention is that a search for this compound in modern databases (Reaxys if you are interested, what used to be called Beilstein) reveals the compound to have a melting point of ~84°C. So, are alarm bells ringing? Did AW make a big error? Were many of the patented dyes not what they seemed? The story starts to get murky when Reaxys reports the earliest literature for this compound as being 1941 (DOI: 10.1039/JR9410000243), the authority being Wynne himself (now a sprightly 80). The collection of 263 specimens was thought to go back to the 1890s, so how could it contain a compound only made about 50 years later? Time to do an X-ray determination. Remarkably, the 120 year old crystals of specimen 22 were still in good shape, but the determined structure held an initial surprise. 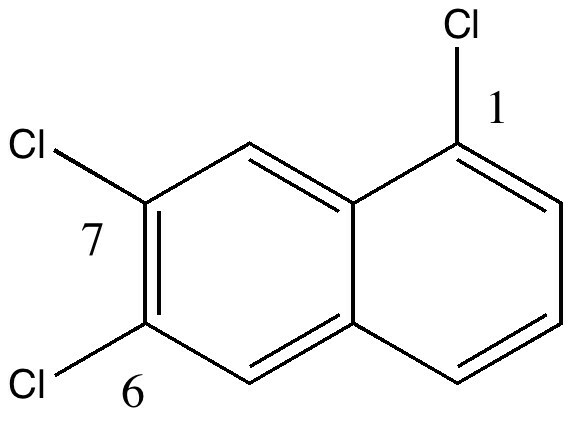 The compound was in fact 1,6,7-trichloronaphthalene, quite a different species from the label. So, did AW get things badly wrong, and were all those patents based on these structures potentially invalid? A little more detective work using Reaxys reveals that the 1,6,7 isomer melts at 109.5°C, the same as reported by AW in 1890 (Chem. News J. Ind. Sci., 1890 , 61, p. 273). So how did the 1,6,7-compound come to be mistaken for a 1,2,3,-isomer? The culprit turns out to be one prime (‘). The numbering system in 1890 was different from what it is now. Then, primes were used to distinguish the numbering on each ring. When the collection was catalogued (in the 1990s), the 1′ was mistaken for 1 (you can see the prime on the original label). AW were correct all along, and the patent owners for all those naphthalene dyes can rest easy. What this teaches us is that crystallography on 120 year old organic compounds is perfectly viable. Indeed, can anyone else claim to have solved the structure of such an old compound? And that those old chemists knew what they were doing, despite not having any instrumentation to help them. Oh, and a final comment. Precious few collections of molecules made by the original scientists exist nowadays. Many a collection has literally been skipped because of health and safety concerns. The AW collection itself was rescued from oblivion by the narrowest of margins. And we have permanently lost the opportunity for any detective work of the type described above. You can see that I am very upset by this. Heritage conservation should not just be old buildings, paintings etc, but the chemical heritage collections as well. Thanks to Andrew White for the crystal structures (of this and three other samples, but their stories are for another day). This entry was posted on Wednesday, November 17th, 2010 at 8:55 pm and is filed under Interesting chemistry. You can follow any responses to this entry through the RSS 2.0 feed. You can leave a response, or trackback from your own site. The appearance of this blog prompted me to check on the quality of the crystal structure Henry has included. I found that it was very poor (R-factor ca. 26%). Further investigation showed no convincing reason why the structure was so poor. So, I went back to the original data (which was collected for 68 hours beginning on 21-Feb-2005) and started again from scratch. Somewhat belatedly I twigged the reason; it is a pseudo orthorhombic twin (the β angle is very close to 90°). Adjusting the refinement to account for this dropped the R-factor to a much more reasonable 6.7%. Reprocessing the data with the latest version of the software (as of 18-Jan-2011) and redoing the absorption correction further lowered the R-factor to ca. 3.9%. So, what was at one point a very poor structure (but where it was nevertheless pretty clear what the compound was) has now become a very nice structure. It is also worth noting that the reprocessing has very significantly “improved” the quality of the unit cell [the b axis for example has changed from 17.319(4) Å to 17.2749(6) Å, i.e. an error of 40 has dropped to 6], though it is arguable as to how real this improvement is. (Unit cells are routinely reported these days to precisions that are bordering on the ridiculous, if not already well past that border.) The errors in the bond lengths and angles have likewise improved with, for example, the C(1)–C(2) bond length changing from 1.41(4) Å to 1.365(5) Å. The other significant changes are that the number of observed data has risen from 1297 to 1475 and the R(int) has dropped from 9.2% to 6.4%. All in all a vastly better structure. Though the big majority of the improvement only required the hkl file, the drop to 3.9% still shows the value of keeping hold of the original data. Given the size of this data set (ca. 1.5 Gb), keeping this for every structure (only a small proportion of which get published) is an ongoing challenge. I have sent the new version to Henry to upload to the blog in place of the old version. Personally, I see no reason to keep the old version as it has been completely superseded, but this could be viewed as being somewhat at odds with the historic stance of this very blog! Should my mistake in not spotting the twinning 6 years ago be preserved for posterity? I have added the new structure alongside the old, in case anyone wants to compare! 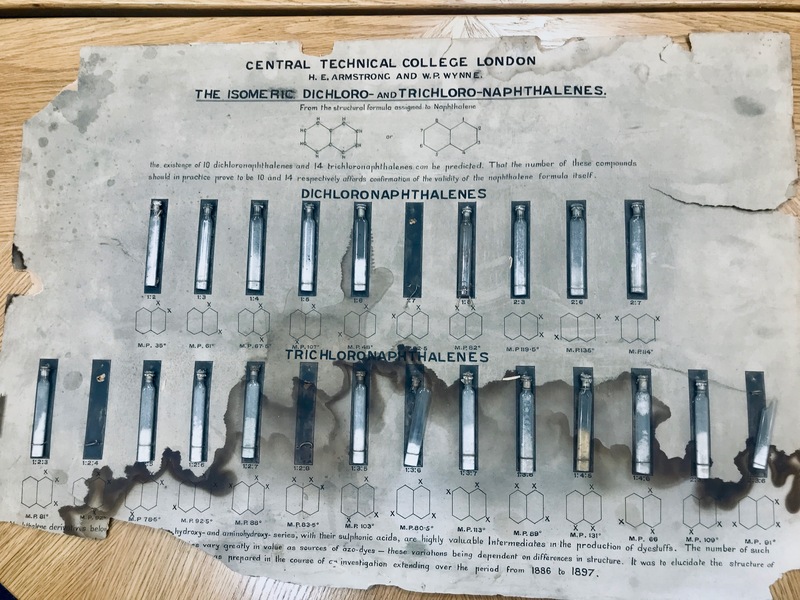 As part of the process of relocating the Imperial Chemistry department research laboratories to White City (teaching remains in South Kensington), an old store room was inspected. There we found a display of naphthalene samples, as shown in the photo below. It is badly in need of restoration, but most of it is legible even in the present condition.